He was "a wonderful mix of spirituality and practicality", Faith Advisor to the former Prime Minister, Tony Blair. His death was "a blow to the whole community." a local MP. "He was a reformer in that he began calling for imams to start using English in their sermons and in their teachings so that the British Muslim youth could learn something about their faith when attending the mosques." Chair of a leading British Muslim Organisation. 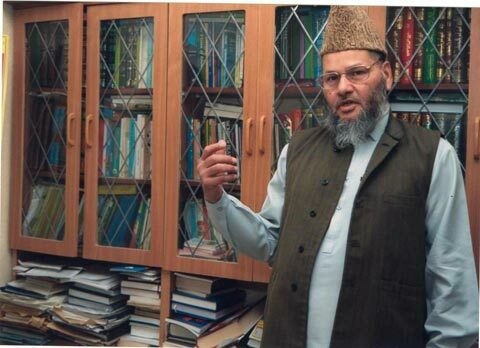 "He was a true lover of the Holy Prophet (peace and blessings of Allah be upon him) and that is why he was always at the forefront of any cause and campaign dealing with Tahafuz-e-Namose-e- Risalat", Secretary of Ahl-Sunna wal-Jamaat. "He effectively gave me a new life", a revert who embraced Islam at the hands of Professor Qari Fateh Muhammad. "His intelligent conversations, his ability to listen to opponents' views, his inner beauty, his immense love for the Prophet, the Ahle-bait and the companions of the Prophet (peace and blessings of Allah be upon him) made me reconsider my beliefs", a shia Professor from Iran. "He was as friendly and hospitable to his opponents as he was towards his friends and followers", a young enthusiast who enjoyed debating with Professor Qari Fateh Muhammad. "Through his guidance and mediation, he saved my marriage", a young newly married sister. "He was an inspiration to me. If it had not been for him, I would not have had the love of my religion in my heart today", a pharmacist. "He helped me find myself", an investment banker. "He was always there for my family", a mother of six children. "If it had not been for his financial support, I would not have been able to do an MBA", a student who went on to become an entrepreneur. "Whenever I followed his practical advice, I never regretted it", a father of four and politician. "I always confided in him and he counseled me", a granddad and community leader. "If it had not been for him, my children today would have been somewhere else rather than in the mosque. He brought faith into our hearts", a mother of three. "He was my guide, my teacher, my source of inspiration, my role model and my spiritual father", a student of Islamic sciences and Tassawuf. "He was a truly humble and sincere servant of Allah, who was not after worldly positions or wealth; he declined whenever he was given a position of power and rather recommended his colleagues to take those positions", founder of the British Muslim Forum. "He was a man of extraordinary vision. He sat on a prayer mat but touched the hearts of thousands of people from all walks of life whether they be doctors, Imams, builders, politicians, professors, taxi drivers or entrepreneurs. It was his simplicity and spirituality, combined with his wisdom, that made him everyone's hero", a medical doctor. "It was his love for the Noble Quran, his constant recitation day and night, which brought me closer to Allah", a Hafiz and recite of the Holy Quran. "He sometimes would give money in charity when he did not have much in his own pocket", Trustee of a Charity. "He was a shining star; people like him are not born everyday", a professor colleague at Islamic University Islamabad, Pakistan.